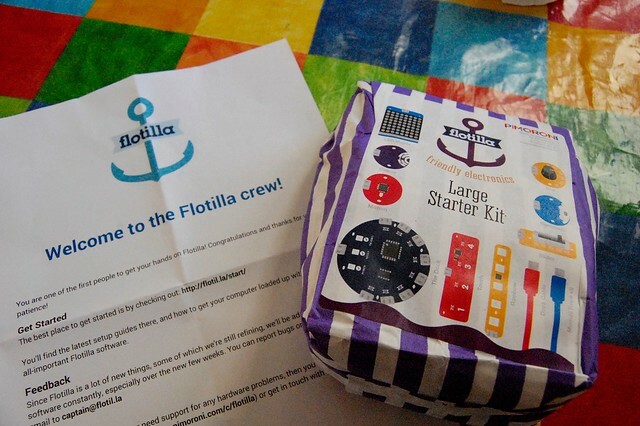 Pimoroni Flotilla – first impressions | Blog My Wiki! 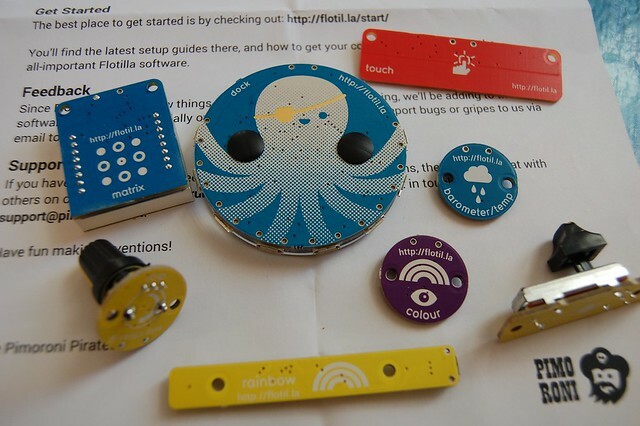 Hot on the heels of my official Raspberry Pi SenseHAT, Mr Postman brought me the Pimoroni Flotilla. I got this early because I backed it on Kickstarter, ooh quite a long time ago now, and I’d almost forgotten about it. A very welcome early Christmas present from the crew at Sheffield’s Pimoroni. 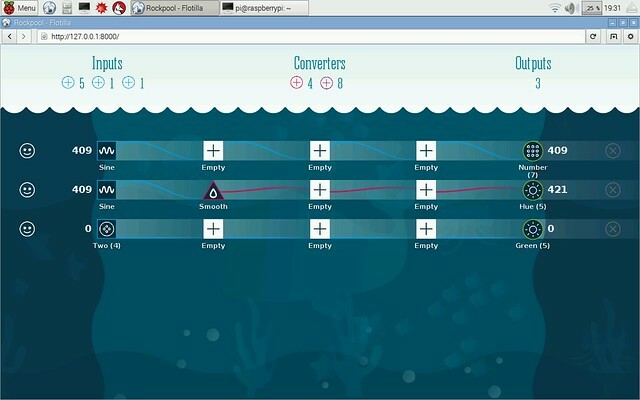 You click on inputs, which can be physical devices or patterns like a sine wave or saw-tooth wave, do stuff in the middle, and then pipe things to output devices on the right. 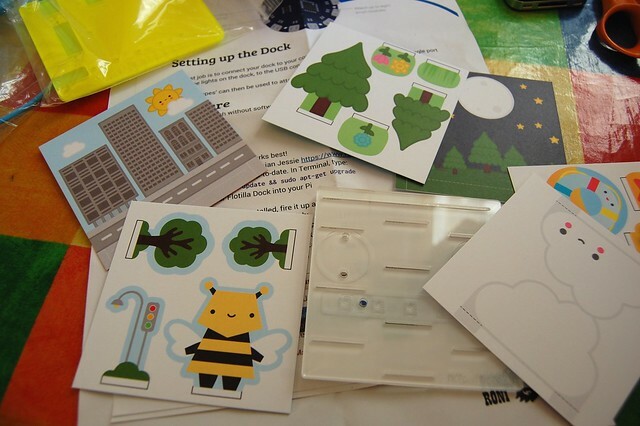 I can see Flotilla appealing very much to younger children, and I will save the diorama cut-out cards supplied for my KS2 computer club next term, to see what they make of it – I think my own children are probably too old for this. 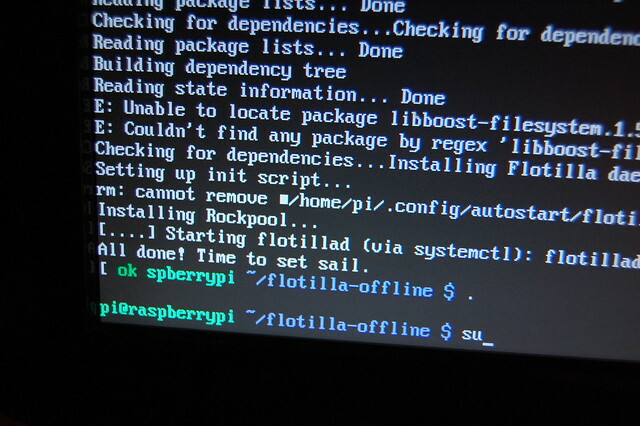 I’ve only scratched the surface with Flotilla – it’s clearly got lots of potential and I like the way you can get a simple project running in seconds with the scope to build much more complex and sophisticated projects later on. I look forward to many adventures aboard my Flotilla, and seeing what projects other folk (especially kids) come up with. Children always have the best ideas when you give them creative toys like this (and I don’t use the word ‘toys’ in a negative way at all – play is good!). 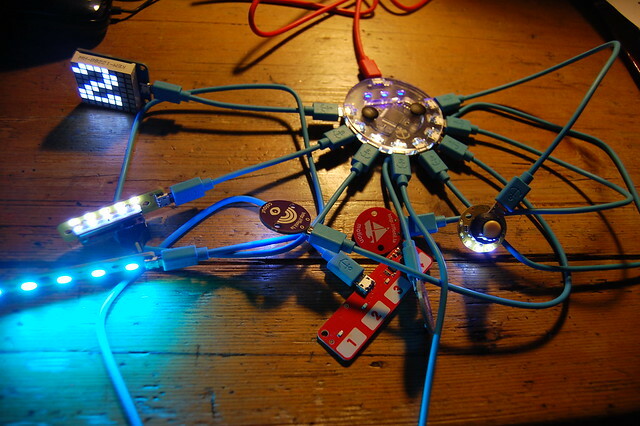 (Pirate) hats off to the Pimoroni team! 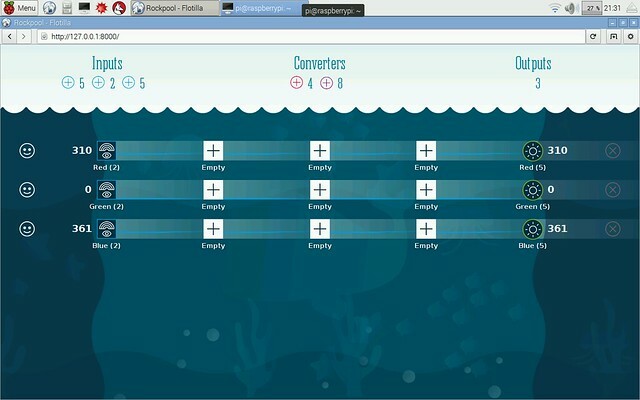 This entry was posted in computers, education, ICT, Linux, Raspberry Pi, Raspbian and tagged Flotilla, Pimoroni, RaspberryPi. Bookmark the permalink. I’ve just got my Treasure Chest and found your blog informative and interesting. I’m more interested in using Python than Rockpool but find the lack of even minimal documentation a pain. Have you got anywhere using Python 3? Not had chance to try Python yet – plan to though!